The large long fin or blue and gold snapper requires a lot of water to be able to move around freely. It prefers to live in calm areas and accepts a wide range of food. 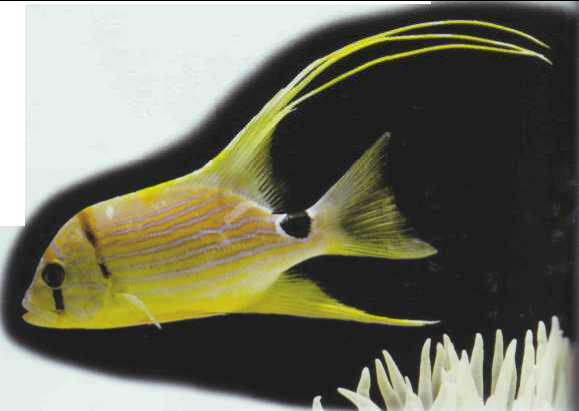 This brightly colored fish is rarely found in the aquarium trade. Size: 30 cm.